Miles Mallory came up big for St. Vincent Pallotti basketball Monday evening. The junior center finished with a game-high 22 points as the No. 12 Panthers defeated top-ranked St. Frances Academy in MIAA A action in Laurel. Though a member the 20-win club, St. Vincent Pallotti High boys’ basketball team had not beaten John Carroll School, Mount St. Joseph and St. Frances Academy – the “Big Three” of the MIAA A Conference this season. That was until Monday evening. The 12th-ranked Panthers defeated top-ranked St. Frances, 66-56, in a MIAA A match on Sister Karen Court in Laurel. Junior center Miles Mallory finished with a game-high 22 points for Pallotti (22-9 overall), and Kyron Martin added 19. After falling to St. Frances, 65-61, in east Baltimore a couple of weeks ago, Pallotti pulled away Monday, upping its mark to 11-6 in MIAA A play. Junior forward Gilbert Otoo finished with 10 points. Bass Diop led St. Frances (29-4, 14-2 MIAA A) with 15 points and sophomore Jordan Toles added 13. It’s the second straight loss for the East Chase Street school, which fell into second-place in the MIAA A Red Division behind Mount St. Joseph (16-1 MIAA). St. Frances, which lost at Loyola Blakefield last Friday, return home Wednesday for a MIAA A match with Glenelg Country School. Friday, St. Frances welcomes third-ranked Mount St. Joseph with the top spot in the MIAA A Red and Baltimore Catholic League likely at stake. Pallotti, which has a MIAA A playoff berth locked up, hosts Loyola Wednesday. 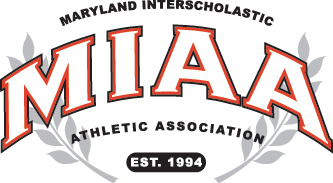 The Dons (8-8 MIAA A) are tied with Calvert Hall College (8-8 MIAA A) for the fourth and final postseason spot out of the Red Division. St. Frances – Baldwin 9, Jones 4, Murphy 2, Epps 4, Ferguson 9, Diop 15, Toles 13. Totals 21 10-18 56. Pallotti – Mallory 22, Carter 5, Martin 19, Otou 10, Cannady 9, Giles 4. Totals 24 16-18 66.